REDUCE HBA1C IN YOUR PATIENTS? 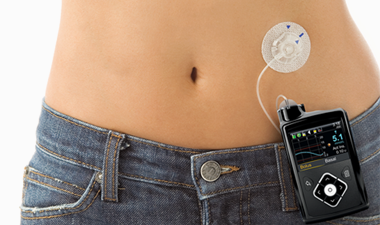 An Insulin Pump such as the MiniMed® 640G System^ reduces HbA1C incidents in your patients. It can guide them towards better control12 by providing advanced protection from hypoglycaemic episodes13 and offering greater convenience for easier daily management of diabetes. A patient’s glucose level depends on many factors, including diet, exercise and stress levels. 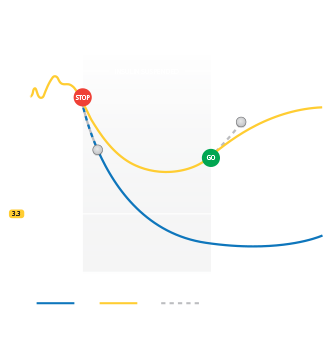 The MiniMed® 640G System^ gives patients better control because, along with its exclusive SmartGuard™ technology, it does the thinking for them. By closely mimicking the way a healthy pancreas delivers basal insulin to the body it helps patients better manage their condition, making it easier for them to follow your prescribed therapy plan. 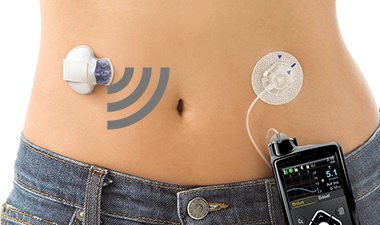 Our advanced integrated CGM makes diabetes management more informative for you and more actionable for your patients. 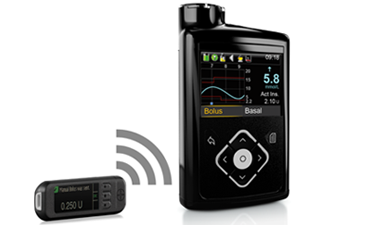 Be alerted before sensor glucose is above or below user-set limits. CGM identifies up to four times as many serious glucose incidents compared to self-monitoring with a blood glucose meter. Better protecting against lows - day and night - with multiple limit settings. Stopping insulin delivery also reduces the length and severity of low glucose levels. Waterproof up to 3.6 meters for up to 24 hours – with an IPX8 waterproof rating. Sip-In Sampling™ technology automatically draws blood into the test chamber while Second-Chance™ sampling allows patients to add more blood if initial samples are insufficient. The Contour® Next LINK 2.4 meter connects to Medtronic CareLink® therapy management software, allowing your patients to track their blood glucose control in greater detail. 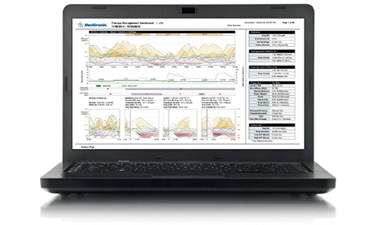 Detailed, easy-to-interpret glucose trend reports conveniently allow you to review patient events and trends. 13. Garg S, Brazg RL, Bailey TS , et al. Reduction in duration of hypoglycemia by automatic suspension of insulin delivery: the in-clinic ASPIRE study. Diabetes Tech Ther. 2012;14(3):205-209. 21. “Thinks” refers to the data retrieval, processing and computing capabilities found in the MiniMed® 640G insulin pump, continuous glucose monitoring system (Guardian™ 2 Link and Enlite™ sensor), Contour® Next LINK 2.4 blood glucose meter and Medtronic CareLink® therapy management software, both collectively and individually. This system and its computing capabilities are part of, but not replacement for, your daily diabetes management. A confirmatory fingerstick is still required prior to making adjustments to diabetes therapy. 22. Within 30 minutes of event, both Low Glucose Limit and Low Predictive alerts ON; with 31 percent false alert rate, calibrating 3-4 times daily. Enlite Sensor Performance Report. Data on file. Northridge, CA. 23. U.S. Enlite Clinical Study Customer Satisfaction Survey. Data on file, Medtronic MiniMed, Inc., Northridge, CA. 25. The dynamic suspend feature is based on certain criteria: sensor glucose must be within 3.9 mmol/L above the preset low limit and predicted to be no more than 1.1 mmol/L above the low limit within 30 minutes AND the pump must not be in the refractory period. 26. The dynamic resume feature is based on certain preset criteria: sensor glucose must be at least 1.1 mmol/L above the preset low limit and predicted to be greater than 2.2mmol/L above within 30 minutes AND insulin must have been suspended for at least 30 minutes. 27. User evaluations. Data on file, Medtronic MiniMed, Inc., Northridge, CA.